Home > Uncategorized > Dental implants: what to do when there is little bone? 21 Mar Dental implants: what to do when there is little bone? Dental implants are considered one of the best solutions for the replacement of natural teeth, which have been lost due to extensive caries, advanced periodontal disease, trauma or some other problem that requires extraction. However, for this treatment to be completely successful, the patient must meet a series of requirements, among which a sufficient amount of bone stands out so that they remain fixed and healthy in the long term. On many occasions, the individual does not present the necessary amount of bone tissue and, consequently, the scenario is complicated for dental implant specialists. The real experts in dental implantology only bet on dental implants when all conditions are favorable. Otherwise choose to first resolve the limiting factors, such as an insufficient amount of bone. Why does the bone wear away? The person who loses a tooth should not take long to place an implant that replaces it, because this causes the bone to gradually diminish and the situation becomes more complicated. Periodontitis is an infectious-inflammatory disease that, if not treated correctly, gradually destroys the supporting bone tissue of the teeth. Once the teeth are lost, the bone available for implant placement may be insufficient. 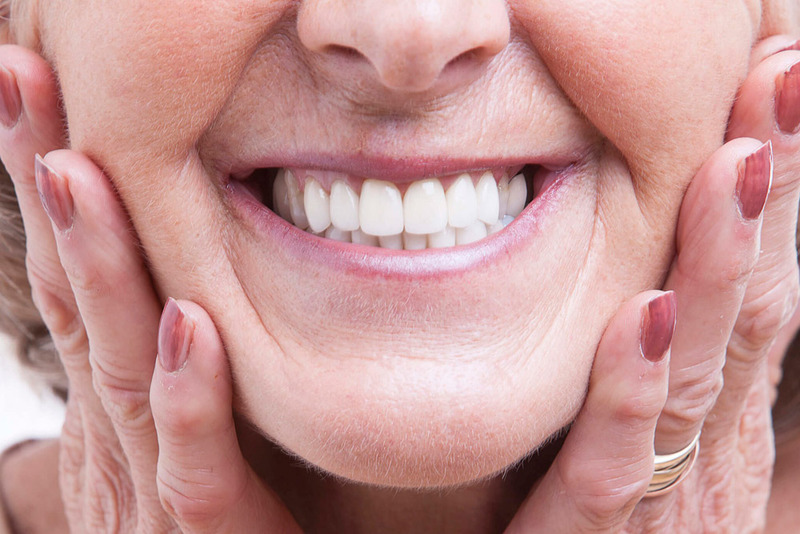 Dentures, resting on the gums, accelerate bone loss. The bridges rest on neighboring teeth on both sides of the area where there is no natural tooth. It is in this toothless area where bone loss occurs. A trauma that affects the tooth and the jaws is another cause that leads to bone loss after the initial trauma. Infections or cysts: a tooth infection caused by extensive decay can, if not treated early, destroy a significant amount of bone. Once the affected teeth are removed, we may have little bone to place implants. Does the lack of bone for dental implants have a solution? Bone graft: before placing the dental implants, the specialist performs a surgical procedure to increase the patient’s bone. Currently, biocompatible materials are used that reduce the chances of the body rejecting it; even the quality is so good that bone grafting can sometimes be done in the same operation, along with the implants. Implants without bone (implants in maxillary buttresses): it is a faster and more comfortable alternative than bone grafts but it only works in totally edentulous patients with bone atrophy. The maxillary buttresses are areas where, even after a process of severe bone atrophy, patients still have bone to place implants. This option includes several techniques, depending on the flying buttress on which you work. Some of the best known are pterygoid implants and zygomatic implants. Each person has particular needs and those who have suffered the loss of one or more teeth can rely fully on dental implants as an exit to this circumstance, even if they have little bone. Of course, it is important to know that the techniques necessary to treat this type of case are complicated and are not free of risks, so they must be performed by experienced surgeons and specialized training. Remember that the first step is always to evaluate your condition and find out which is the treatment that best suits your needs. Therefore, we always recommend that you put yourself in the hands of real dentistry professionals who can solve your problems.